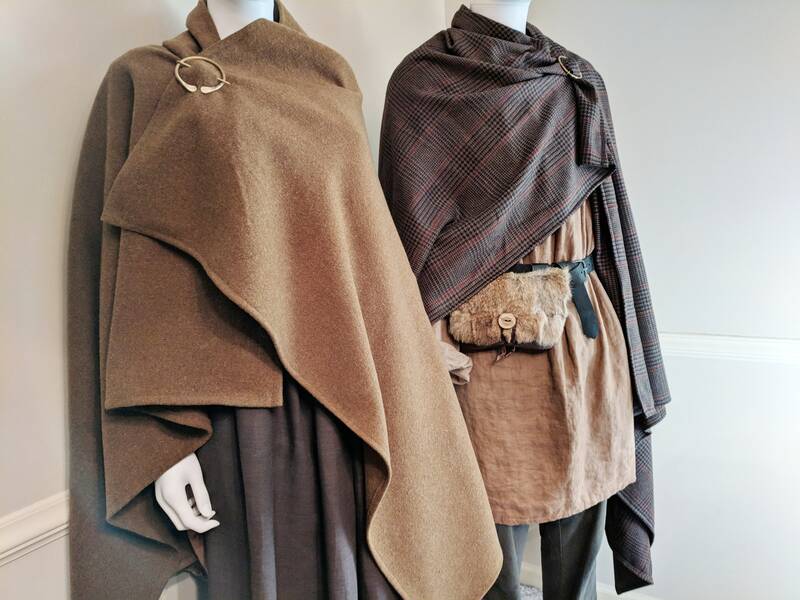 These Celtic / Viking style cloaks are perfect for keeping warm and dry at your next event. 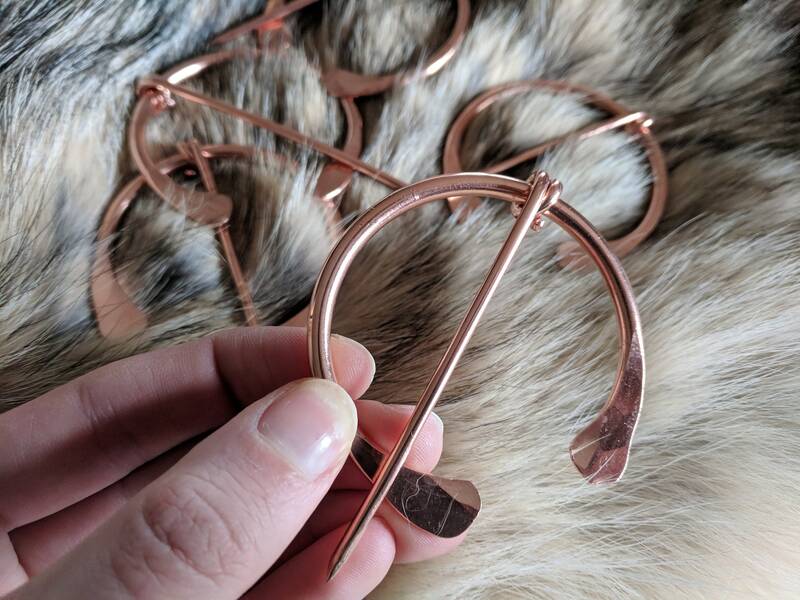 Included with your cloak is a lovely copper Penannular brooch, 2 1/4" in diameter. Versatile, can be worn in a variety of ways! 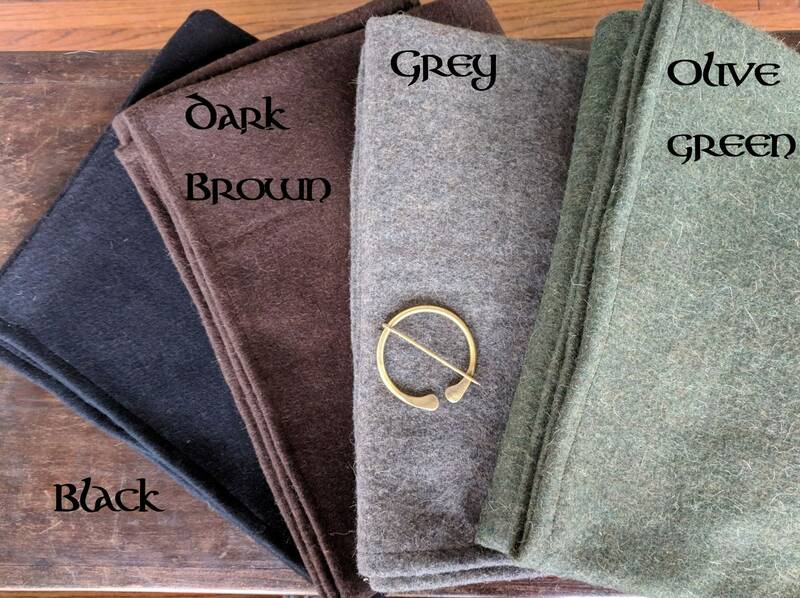 See picture 2 for colors available of our heavy weight wools. Picture 4 shows our lighter weight one of a kind wools. 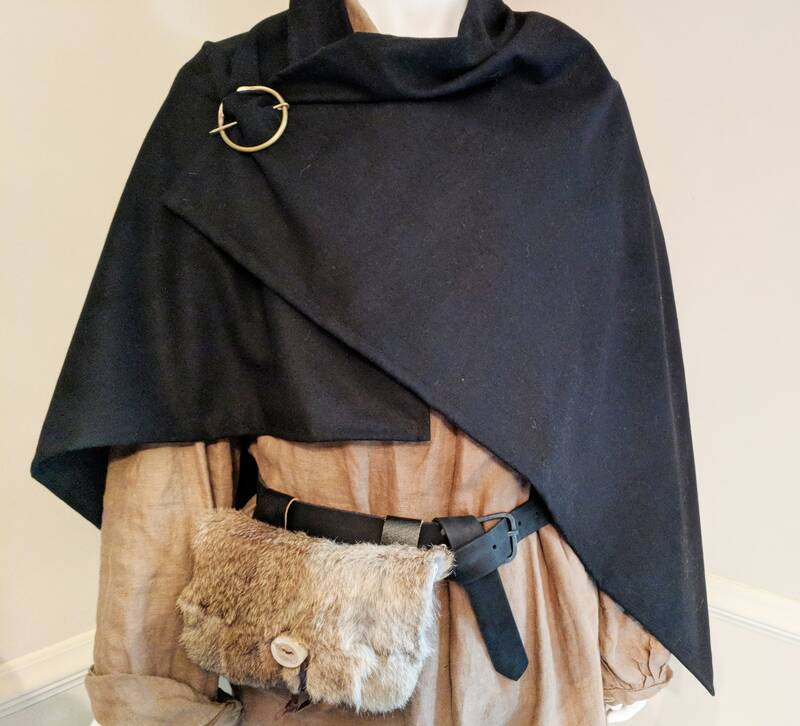 These cloaks are easy to wear and look great for Medieval SCA, LARP & Reenactment events! Adult one-size-fits-all. 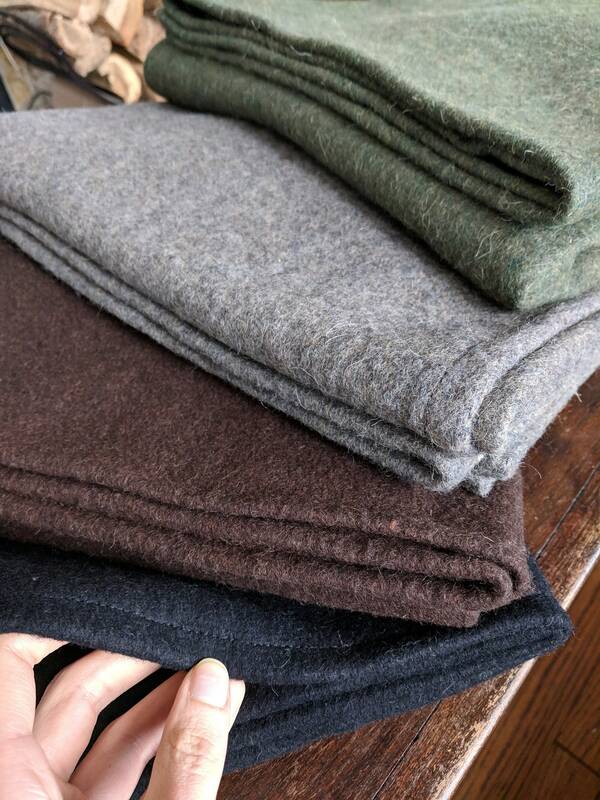 Deluxe heavy weight cloaks are 80% wool. 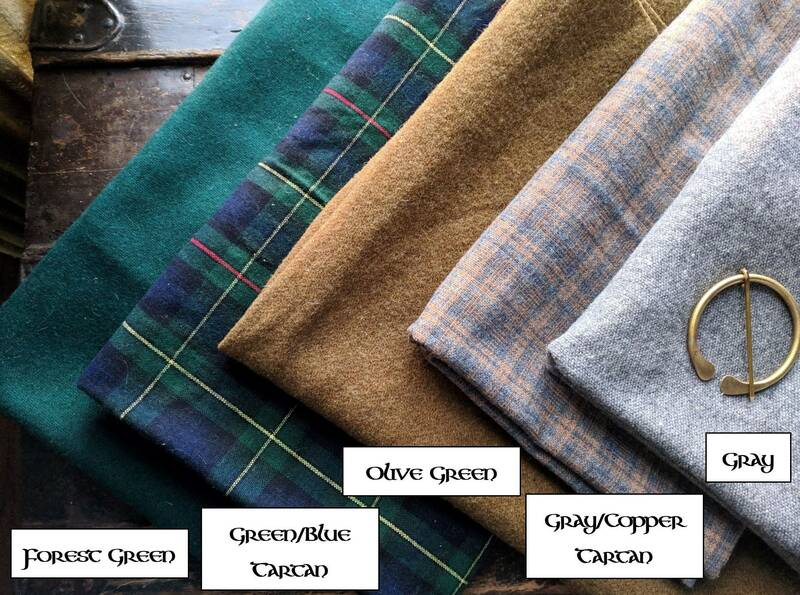 Dimensions 35" x 60"
Forest Green - 35 1/2" x 54"
Green/Blue Tartan - 46" x 66"
Olive Green - 28 1/2" x 59"
Gray/Copper Tartan - 32" x 54"
Gray - 33 18/2" x 50"
Very lovely! A little difficult to wear as the pin likes to slip out, but I rectified this by using my own pin. Good material, a bit smaller than I’d like, but it’s a good summer cloak. I wouldn’t say it’s heavy enough for winter.